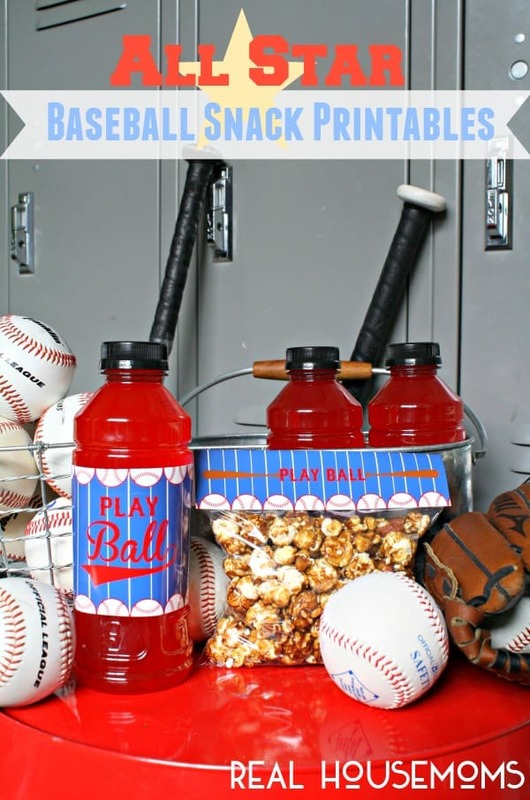 Sports season is almost upon us, so today we thought we’d share some simple Baseball Snack Printables! 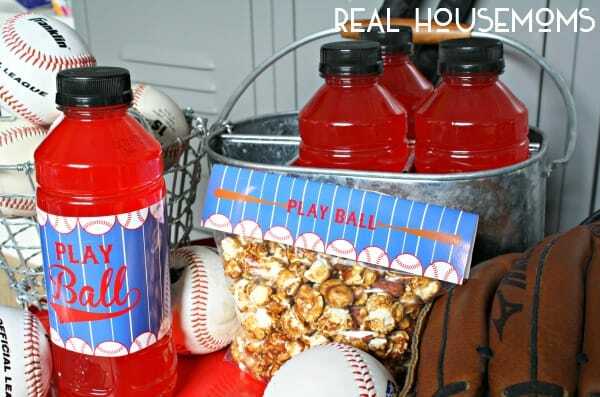 Show a fun side to sports snacks with these easy baseball snack ideas…they’ll make the other moms swoon and the kids will love them and no one will know just how little time it took for you to step it up a notch! All you need to do is download the free prints HERE and HERE. Cut using a paper cutter or scissors and apply to the tops of baggies using a stapler. 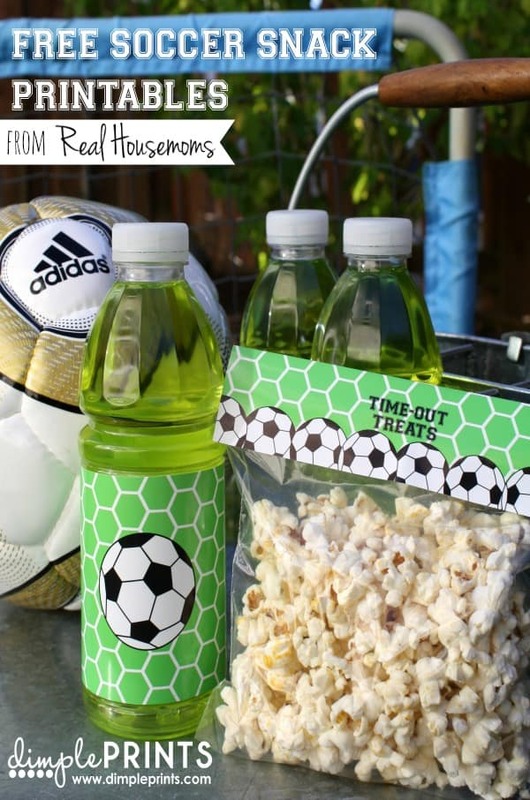 You can apply drink wrappers using tape or hot glue. 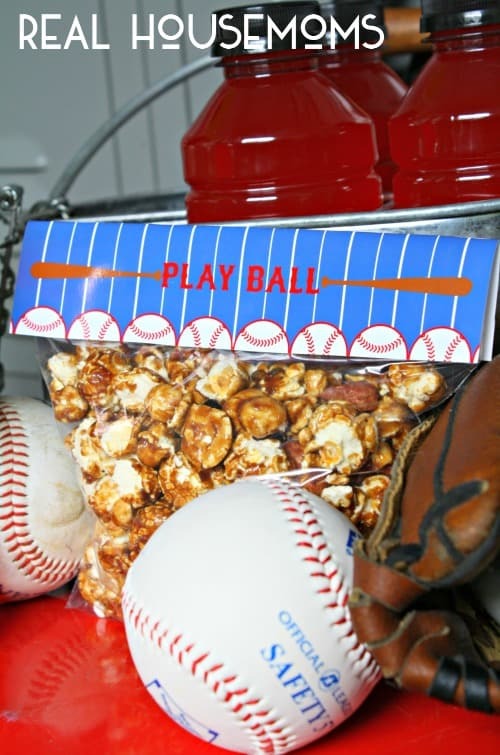 Hopefully this puts you ahead of the game with baseball season planning! 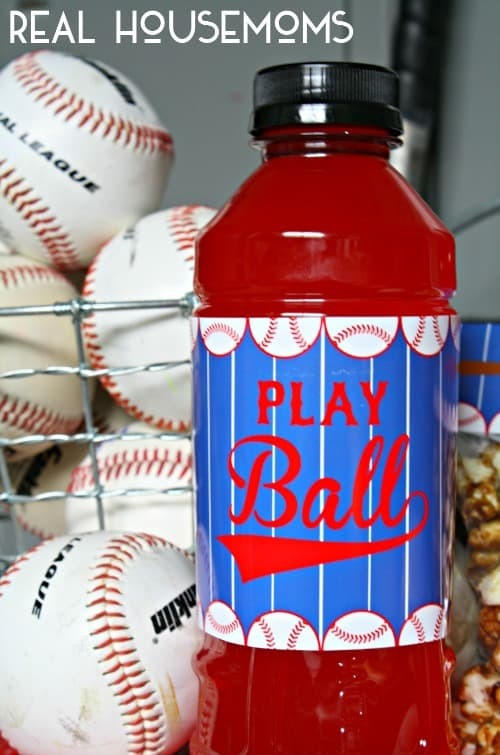 Or if your kids don’t play, pack these if you’re attending some baseball games this spring! 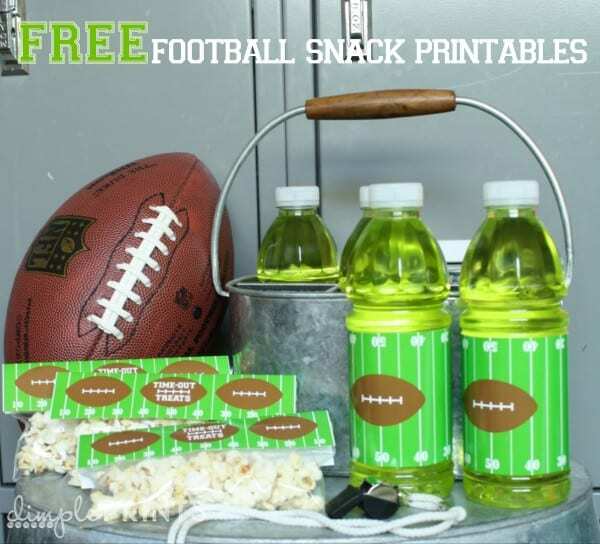 I know my kids love a good themed snack! !